Shutters In Time For Christmas! 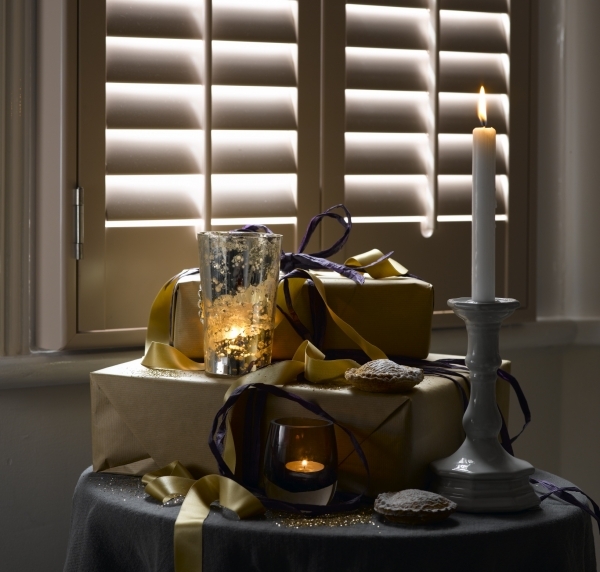 If you’re thinking of transforming your room with fabulous shutters before Christmas, ensure you get your orders in before our cut-off to avoid disappointment! While it might be daunting to think that far ahead, we’re already planning for Christmas and the festive season! While you might be thinking of booking your Turkey at Marks & Spencers, or what this years toy of the year is for your child – our main concern is to make sure you can get your window shutters before Christmas! Our Christmas cut off falls on the 20th of October 2015. This means any orders placed before this time will be up and installed in your home before Christmas – fantastic! However… this year we are delighted to be able to offer, for the first time, our express delivery shutters service! This means you can order up to Friday 6th of November 2015 and still have your shutterly festive home!